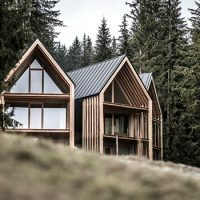 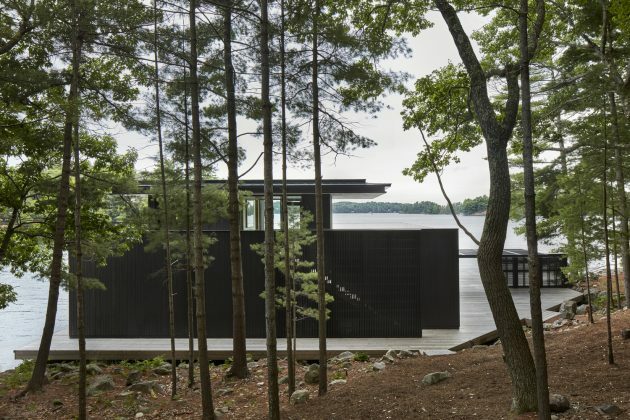 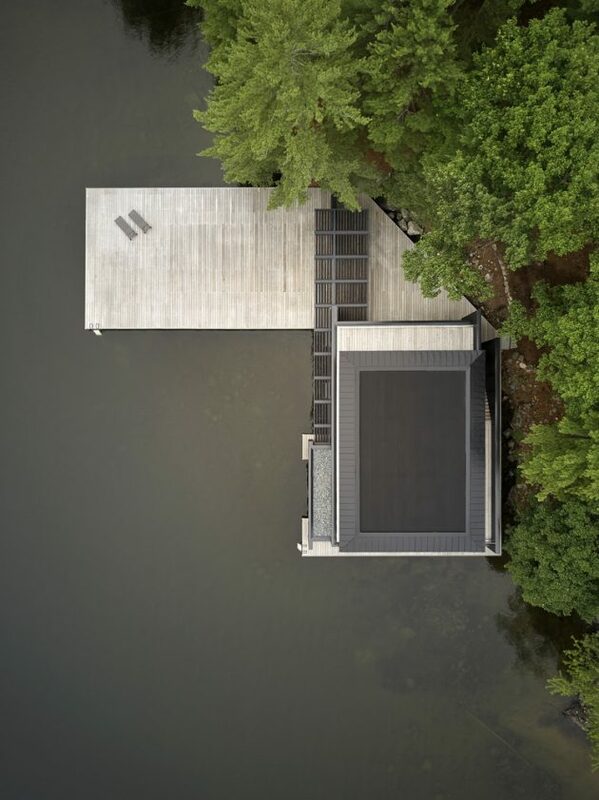 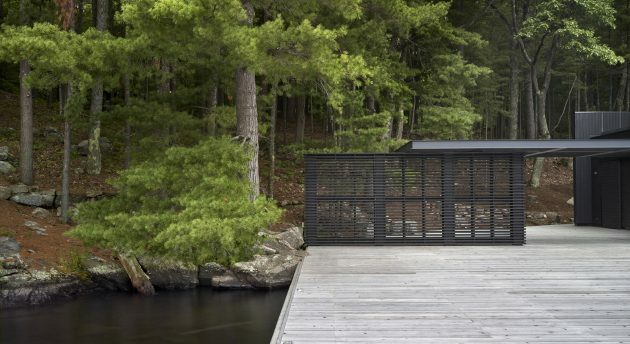 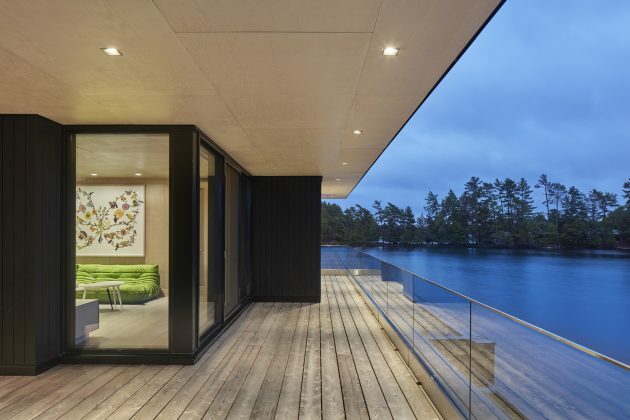 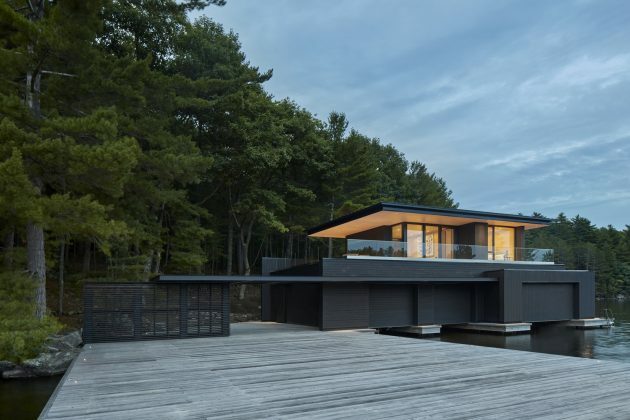 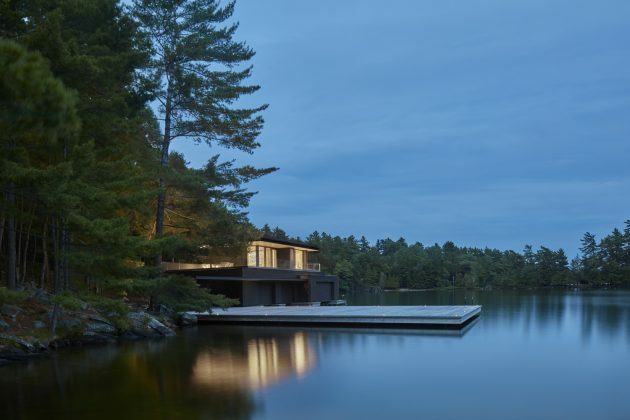 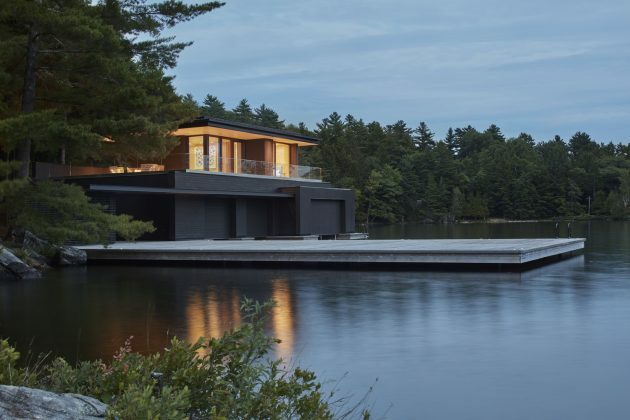 Akb Architects is a studio from Toronto, Canada that has received some popularity for an outstanding project of theirs – the Muskoka Boathouse in Ontario. 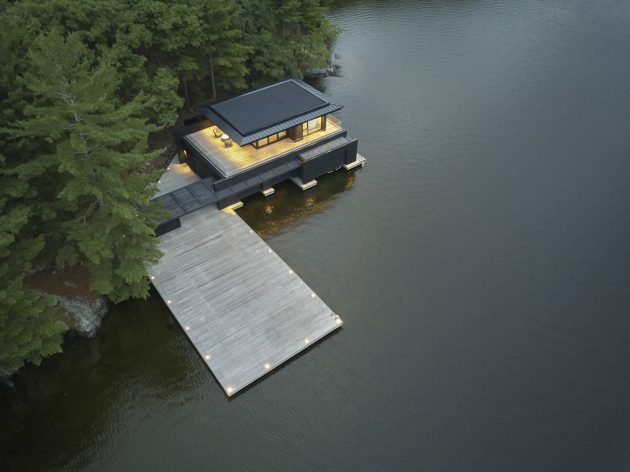 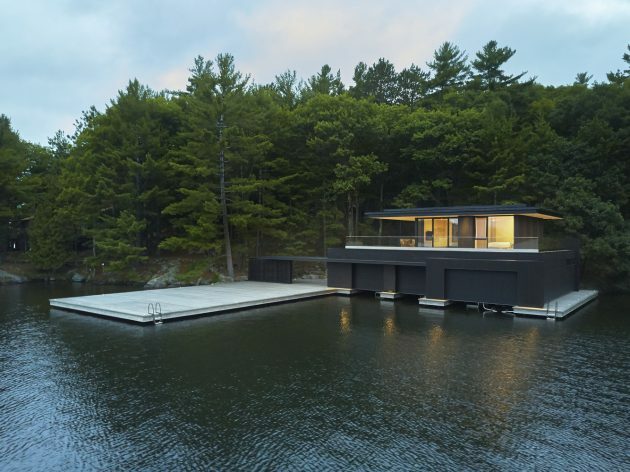 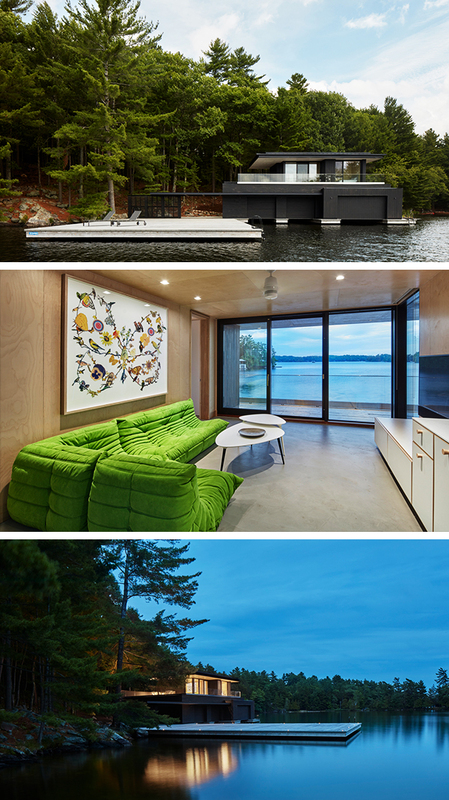 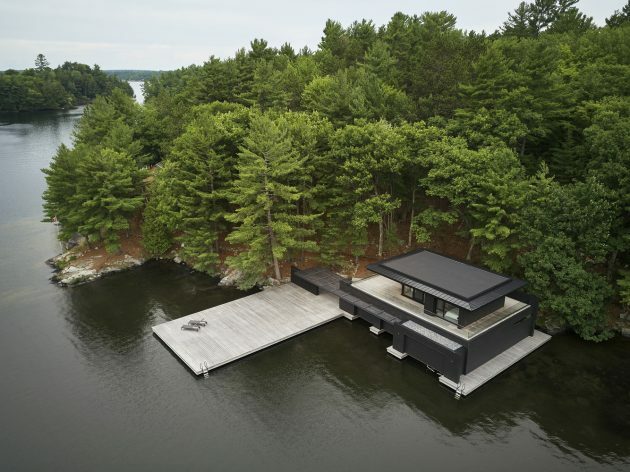 This unique modern boathouse is located along the edges of the Muskoka lakes and is surrounded by absolutely breathtaking natural sights. 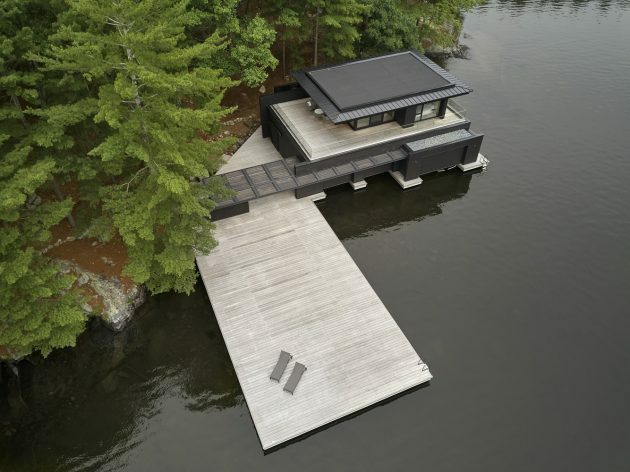 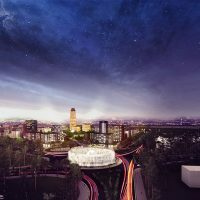 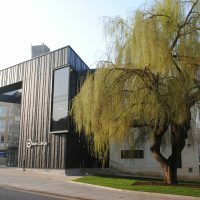 The building is right next to an expansive wooden deck that can be used as a diving platform but also as a nice outdoor deck in the middle of nature. 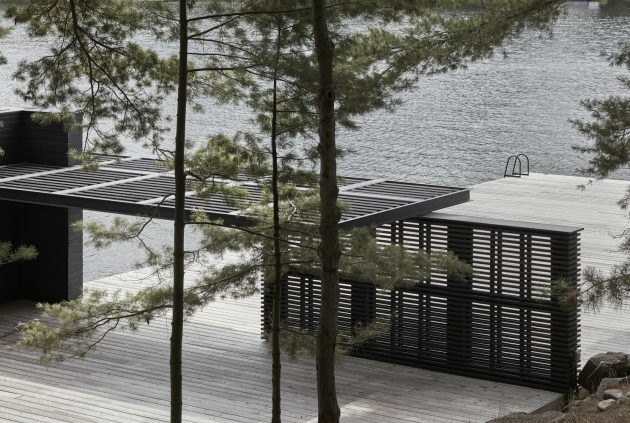 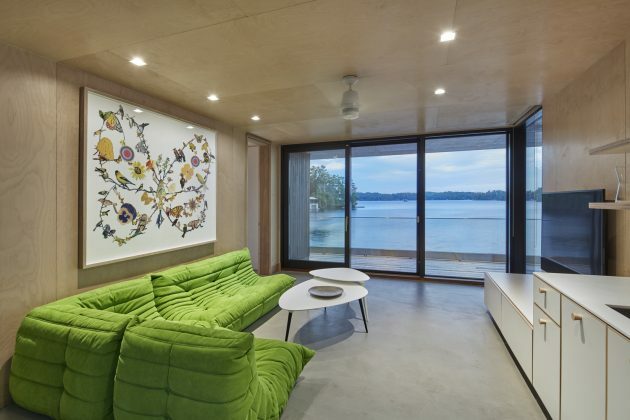 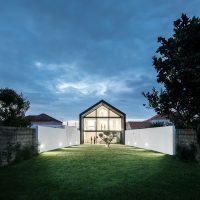 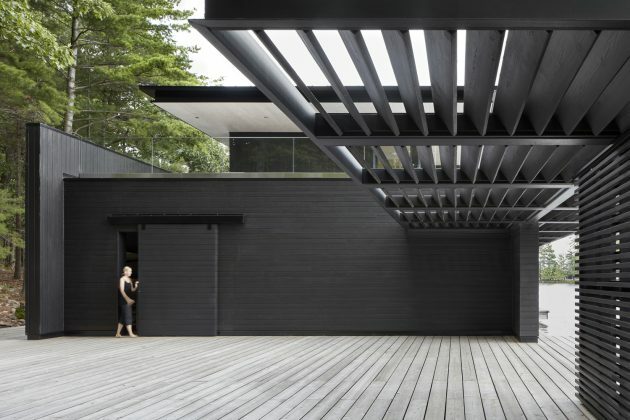 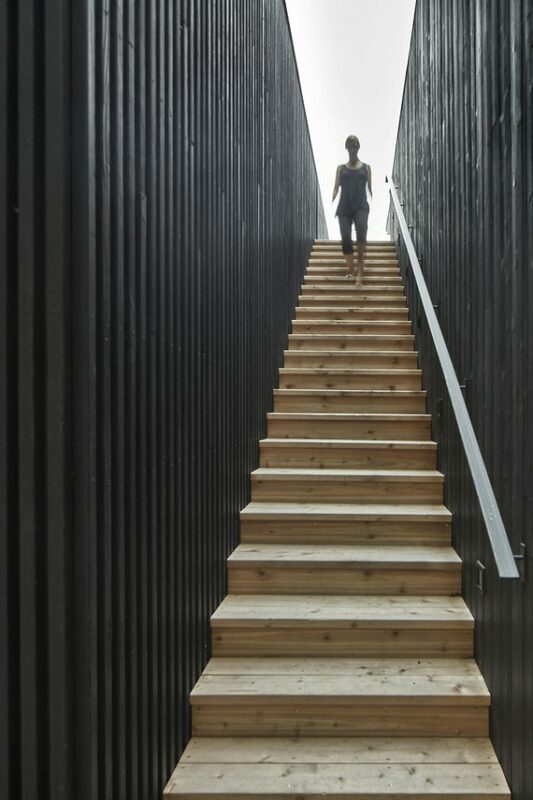 An elongated cantilevered trellis supported by a permeable wood screen provides an area of reprieve from the expansive, south-western exposure on the dock. 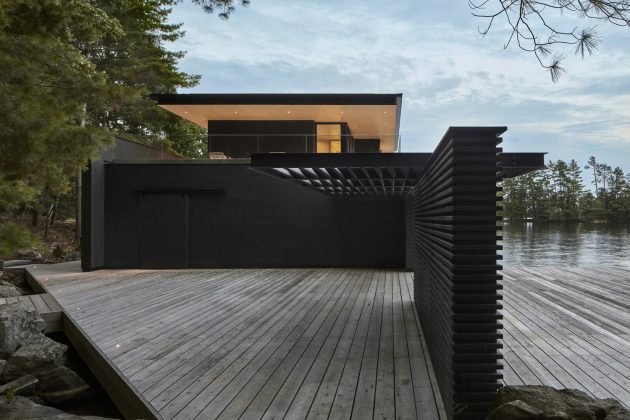 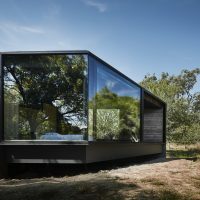 Locally supplied cedar wood siding was charred in a Japanese process known as Shou Sugi Ban to preserve the wood from natural weathering, providing a low maintenance exterior finish. 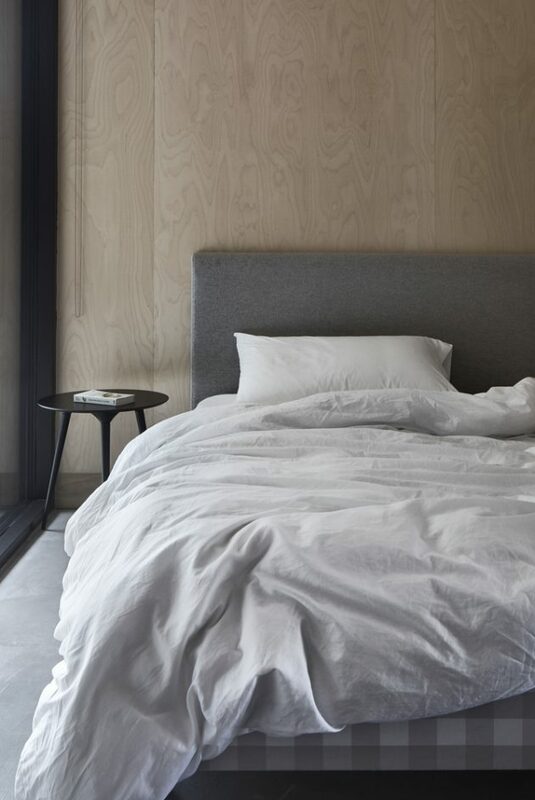 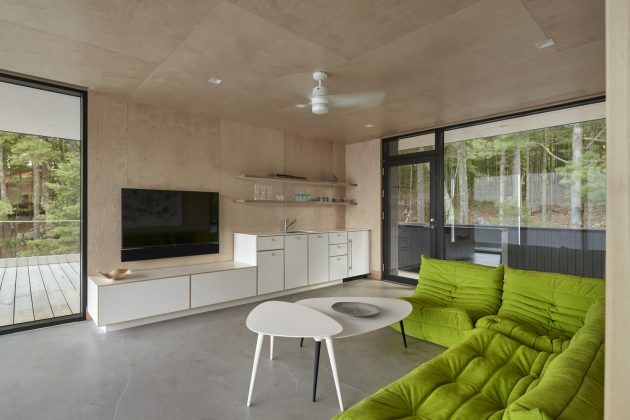 A sequence of horizontal and vertical boards differentiates each planar element while a combination of Baltic Birch and Douglas Fir plywood wrap the interior walls and ceiling. 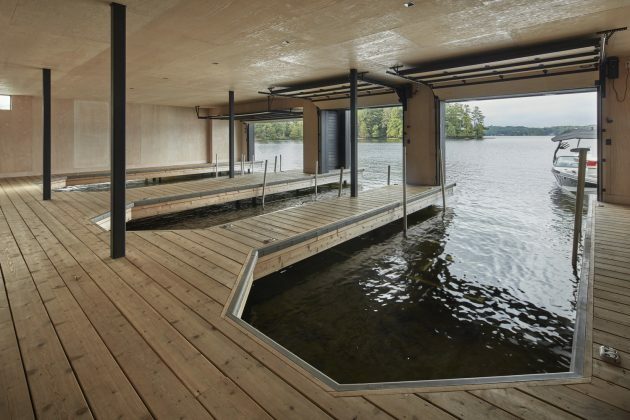 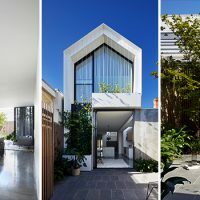 A concrete floor on the upper level defines the interior living space in contrast to the cedar wood decking that presents an otherwise continuous field throughout.